With a number of different looks, the Cleveland collection will make a wonderful addition to your pub room, game room, or casual dining spaces. Create a relaxed yet distinctive look in your home with the retro designs of this side dining chair. 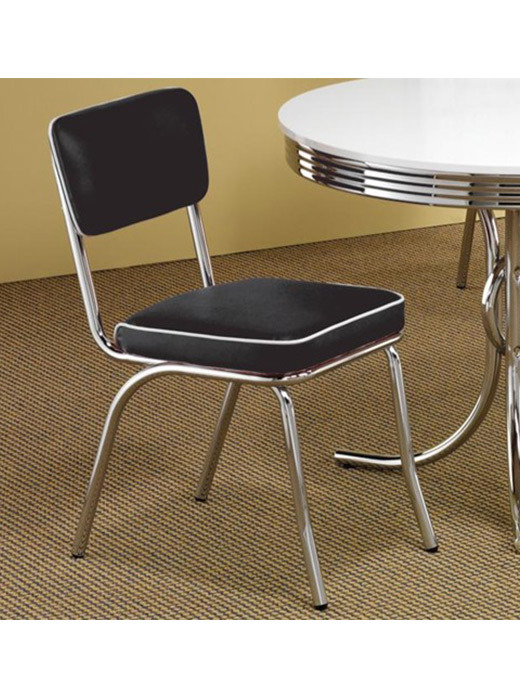 The chrome plated frame and black or red cushioned seat and padded seat back offer a 1950’s diner appeal. Complete this fun style by pairing this piece with the coordinating chrome plated dining table! Go back in time with the fun and distinctive styling of the Cleveland collection. 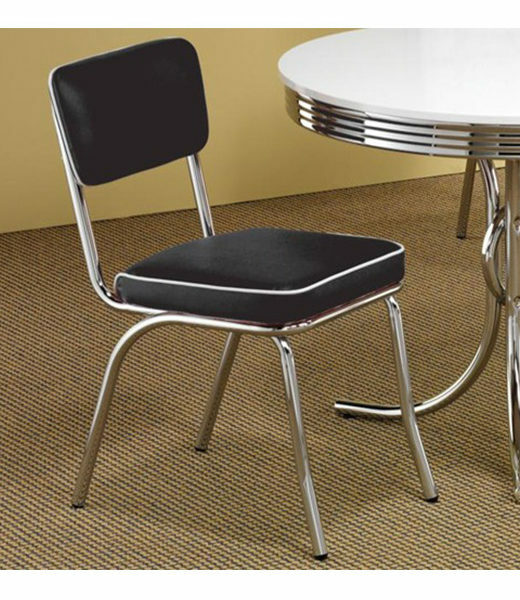 Retro chrome plated tables, chairs, and bar stools create a unique 1950’s diner appeal. With a number of different looks, the Cleveland collection will make a wonderful addition to your pub room, game room, or casual dining spaces.